Pulmonary embolism risk after cerebral venous thromboembolism is significantly lower than after deep vein thromboembolism. 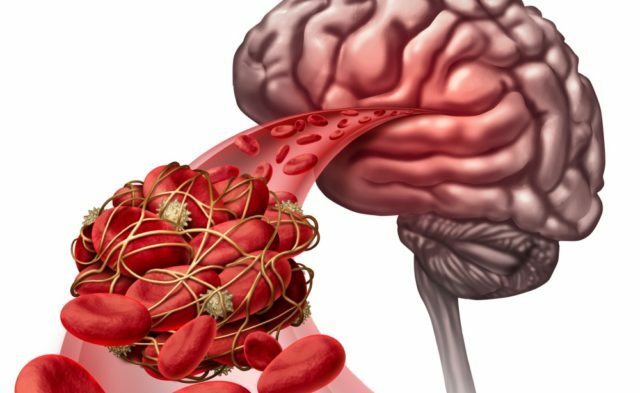 The researchers, led by Ava L. Liberman, MD, of the Stern Stroke Center, Montefiore Medical Center, New York, and Alexander E. Merkler, MD, of the departments of neurology and neurosurgery at New York Presbyterian Hospital evaluated 4754 patients with CVT and 241,276 patients with DVT. Patients with CVT had a mean age of 43.6 (73.3% women) while the mean age of patients with DVT was 62.5 (52.9% women). More patients with CVT were non-white and had fewer risk factors for VT than patients with DVT. During the index hospitalization, the rate of pulmonary embolism was 1.4% (95% CI, 1.1%-1.8%) in patients with CVT and 6.6% (95% CI, 6.5%-6.7%; P <.001) in patients with DVT. During a mean follow-up period of 3.4 years, 138 patients with CVT and 23,063 patients with DVT developed pulmonary embolisms. At 5 years, the cumulative rate of pulmonary embolism after CVT was 3.4% (95% CI, 2.9%-4.0%) compared with 10.9% after DVT (95% CI, 10.8%-11.0%; P <.001). Patients with CVT had a significantly lower hazard of pulmonary embolism compared with patients with DVT, even after adjustment for demographics and comorbidities (hazard ratio, 0.26; 95% CI, 0.22-0.31). The researchers reported similar results in sensitivity analyses, with the exception of patients who had a CVT during pregnancy or with a history of cancer. The researchers noted several possible explanations for the lower pulmonary embolism risk in patients with CVT. For example, there may be different underlying conditions that predispose formation of CVT vs DVT and pulmonary embolism. For example, patients with DVT in this study tended to be older and were more often men, both of which are known risk factors for VT.
“Among patients with CVT, the greatest risk for [pulmonary embolism] was during the index hospitalization, suggesting that early detection of CVT and timely initiation of anticoagulation may be important,” the researchers concluded. The researchers could not fully adjust for all venous thromboembolic risk factors, including body mass index, immobility, oral contraception use, and relevant laboratory data, such as coagulation studies. No data was available for patient anticoagulation therapy. Merkler AE. Risk of pulmonary embolism after cerebral venous thrombosis. Session P8. Poster – Community/Risk Factors Posters I. Presentation WP179. Presented at: the 2017 International Stroke Conference. February 22-24, 2017; Houston, Texas.